F. and J. Tempelaere, Paris. César de Hauke & Paul Brame, Paris. Mr and Mrs Bernard J. Lande, by 1960. Mr and Mrs A. Bronfman, Montreal, and thence by descent to their son. Mme Fantin-Latour, Catalogue de l'Oeuvre complet de Fantin-Latour, Paris, 1911, p. 136, no. 1304. Montreal, Museum of Fine Arts, Canada collects European Painting 1860-1960, October - November 1960, no. 202. 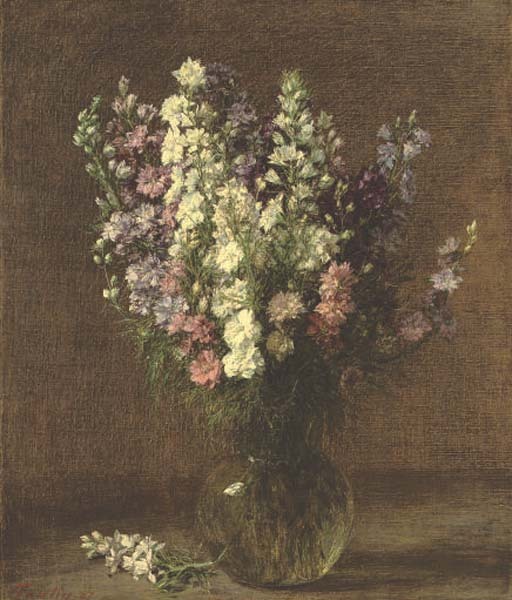 Galerie Brame & Lorenceau will include this painting in their forthcoming Fantin-Latour catalogue raisonné. Please note that the last line of provenance should read as follows and not as stated in the catalogue: 'Mr. & Mrs. Bernard J. Lande, Montreal, by 1960, and thence by descent to their son.